I am thanking God for salvation through faith in Christ Jesus, and new life given to me. When we have the truth understanding of salvation that is through faith, and not by human effort and religion laws, then we will live our lives differently. We will live joyfully, thankfully and obedience to the Lord Jesus, as the head of everything in our lives. We will grow strong in the truth because we have the Holy Spirit who leads us into the truth and right path. We will be given understanding and discernment which one from God and which one from human. We will be led to the heart of the Father and stays in Him. Apostle Paul reminds the believers in Colossians that they were saved by grace and through faith, so lived with faith and not by human judgements. I also link up this post at Inspire Me Monday, Week 150. Thank you so much for stopping by today! Today I am forever thankful for God’s spoken words, His promises in our lives. God’s spoken word will accomplished ALL He wants it. God’s spoken word is forever. Yes, God’s promises in your lives will be fulfilled. Stand firmly and faithfully on His spoken word. It is your stronghold and rock. And this is a promise from our God. In His time, the Good News about God’s Kingdom will be preached throughout the whole world, including in SEA*. Sooner or later, they will hear it. Pray for the churches (you and us) to stand faithfully and firmly to see His Promise fulfilled. Pray for the nations will be ready to hear The Good News of the Kingdom that is Jesus Christ is the Lord, they will trust in Him, be saved, be baptized and be His witnesses to their own. Pray for MORE WORKERS, ask God to send His workers to harvest this ripen fields. Pray for each other that we all will see – hear – obey God’s calling in our lives, to go and preach the Good News to those have not yet heard of it locally and globally. What’s one of God’s promises that you thank Him for today? I am at week 2 now on study of Matthew with HelloMornings Fall session. In this one of the Gospels, I have been reading until chapter 7 and I realize how detail Matthew wrote down each of Jesus’ teachings, warnings and commands. This morning, I read from my NLT Application Life Study Bible and there is a little bit of introduction to Matthew and what God had done in his life: gave him new life in Christ Jesus and changed him eternally. Matthew’s experience points out that each of us from the beginning, is one of God’s works in progress. Much of what God has for us he gives long before we are able to consciously respond to Him. He trusts us with skills and abilities ahead of schedule. He has made each of us capable of being His servant. When we trust Him with what He has given us, we begin a life of real adventure. Matthew could not have known that God would use the very skills he had sharpened as a tax collector to record the greatest story ever lived. And God has no less meaningful a purpose for each one of us. Have you recoqnized Jesus saying to you, “Follow me?” What has been your response? 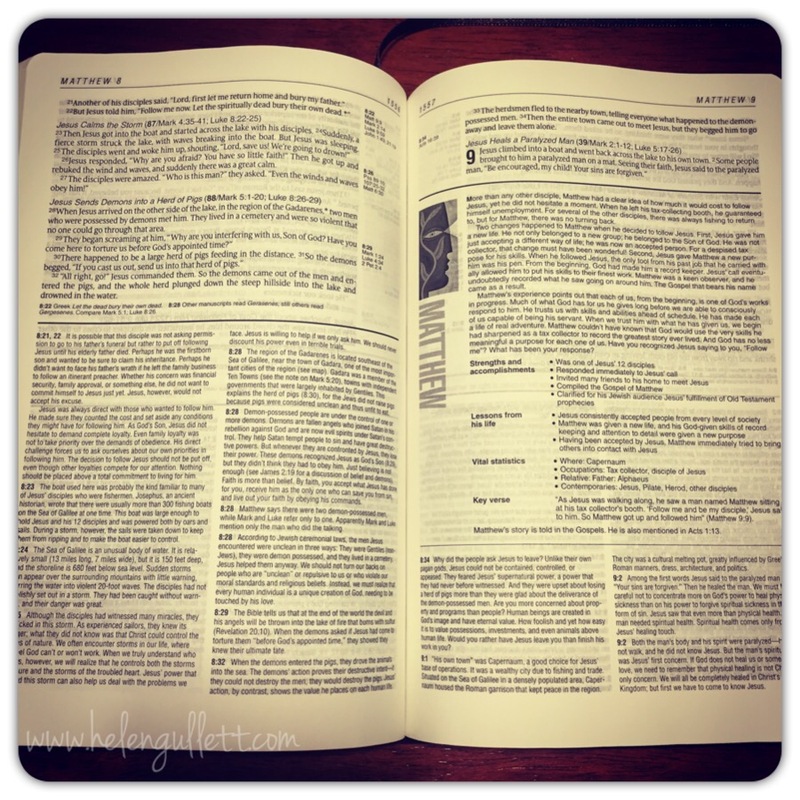 What had been my response to Jesus’ calling? What a big question today. My response to His calling is my little Yes and thanksgiving to His calling. Back in 2005, He called me to follow Him to serve Him. Since then my life is totally an adventure with Him! I had no idea since the beginning I started studying English when I was at Junior High School. I had a very strict English teacher at my 9th grade. She told us to use English every time at her class. And English is not my first language. I was encouraged to participate at English Speech Contest. What?! Go figure! But I had a friend who was there with me and helped me with my speech and encouraged me to try. I did not win but I am glad I tried. Then when my family moved to the capital city and they sent me to a public high school where my English teacher asked me to be her assistant for 2 years. And there were some opportunities for me to tutor some elementary students learning English who went to International Schools. My love of learning English kept growing and came to my mind that I would sharpened and improved my English by going to University studying English literature or similar study. My plan was that so I could go overseas continue my study to be Fashion Designer, and to get a better job than in my country, also to help my parents. All those happened in time before I came to trust in Jesus. I was not a believer and follower that time. I came to know Him and trust in Him 14 years ago. Surely God has beeen working in my life way ahead of schedule, way ahead of my own plans. I am not an English Literature expert, nor a Fashion Designer. But I am able to read, write and speak English. I still love designing buy not fashion, but designing cards & scrapbooking. I can teach my daughters and friends, and also we have crafting time together. Something good comes out of that. I am not yet as good as others, I am willing to still learn from others and willing to try. Stepping our of my comfort zone and dreams is scary but God is ahead of me. I want to trust Him leading me to live as He has planned for me. I am doing what I do now is because I am trusting in Him, because of He is the who gives me the desire and power to do what pleases Him. I cannot imagine if I kept pursuing my own desire to be a fashion designer or an English literature expert without Jesus and not knowing God’s calling. Today, I am recalling all those series of events that happened in my life and reflecting where I am now and what God has called me to do right now is His plan all along since the beginning. 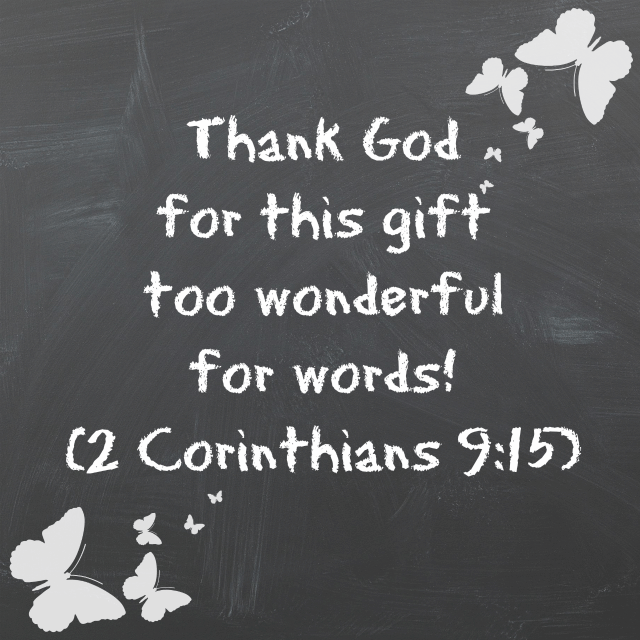 I am thankful for His gifts in my life. I am thankful for every skill and ability He has given in my life to use them serving Him right here, right now from home and when we are on the field. I am thankful for every opportunity He has given to me to serve. I am thankful for His calling, plans and schedules in our lives. Friends, when God says, “I have a plan for you and your future.” He means it. Do you trust in Him? Do you trust Him with all your skills and abilities? What God’s given skills and abilities are you thanking Him today? God’s loves is one the gifts in my life I will never stop thanking Him for. The way He loves us amazes me. He loves you in ways you won’t understand with humanly wisdom. He loves you beyond you can imagine. This song summarizes it… Enjoy His love and the way He loves you each moment! 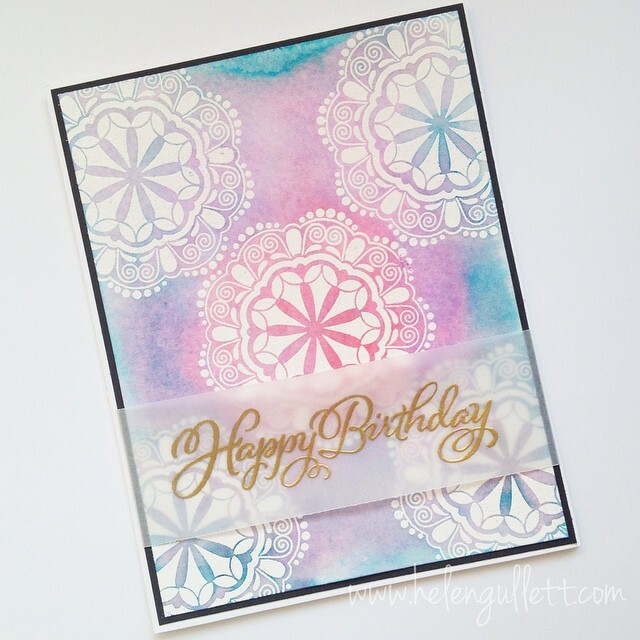 I found one awesome YouTube Tutorial from Catherine Pooler how to create this pretty batik background using background stamp, embossing and watercolor. Check out her tutorial here. We had a chance to go back to Indonesia visiting my family in 2010 and took our family pictures. All of us wore Batik clothing 🙂 Hopefully one day we go visiting again and will have additional on the pictures. And now we have 2 daughters, so we need to have four of us wearing Batik. In my life, one of many blessings I received from God that I never stop thanking Him is friends. Today, I would like to share a card I made for a new friend we met when we visited Wycliffe Associates office in Orlando. She invested her time to train us and pray for us. She is special to us. I used kraft cardstock for the card base. I cut a piece of burlap ribbon into 2 squares about 1.5″ x 1.5″ and added them on the card using Liquid Glass adhesive. Those little flowers are from #30yearsofhappy stamp set. I stamped them using Honey exclusive ink stamp pad. The sentiment and banner are from Oodles of Doodles stamp set. I stamped the banner first using Slate exclusive ink stamp pad and then stamp the sentiment with Black exclusive ink stamp pad. Then added them on the card with Liquid Glads adhesive and some 3D foam tape. I finished it with some Bitty Clear Sparkle adhesive gems. All supplies you ca get at my Close To My Heart website.